encore Deals! 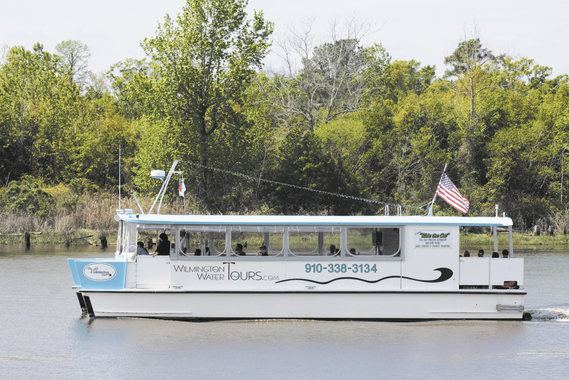 | 50% Off a Sunset Cruise on the Cape Fear River! 50% Off a Sunset Cruise on the Cape Fear River! Price is per person. Valid for Sunset Cruises only. Reservations are required by calling 910-338-3134. See www.wilmingtonwatertours.net for full schedule. No cash value. No change given. exp. 9/30/14. This is one of our most popular excursions. We will slip away from the dock in time for you to be fully relaxed as the sun sets over the Cape Fear River. Watch the downtown waterfront transform as the last rays of sunshine sweep across the riverwalk and wake up the approaching evening. Our sound system and soft lighting only adds to the atmosphere. You will be mesmerized by the array of colors the sunsets reflect on this mighty river. Relax, sit back & meet a new friend or just sit back and relax as you take in the fresh air and cool evening breeze. We offer a selection of beer, wine, mixed drinks and food for purchase on-board.